“Exactly one year ago today the working classes of Britain woke up to some of the best news of the year. The Iron Lady has finally bitten the dust! Margaret Thatcher was dead! Jubilant scenes were witnessed across the country as the people celebrated the passing of one of the most despised Prime Ministers in living memory. People literally danced in the streets with joy and despite the right-wing media’s attempts to demonise the revelers nobody with half an ounce of decency could fault them. In Bristol a street party on Chelsea Road in Easton attracted hundreds of people and lasted until the wee hours of the morning. The celebrations were cut short however when the Avon & Somerset Police decided to turn up in riot gear without warning and beat the party-goers down the street, sparking a mini-riot that lasted for several hours. Those involved in the riot claimed that this was: ‘one more battle in the ongoing class war that Thatcher escalated. It won’t be the last,’ according to the Bristol Post who spoke to two of them anonymous in an article published a couple of days after the event. And heeding the decade old call from Class War for a ‘Party in Trafalgar Square, Saturday after Margaret Thatcher Dies’ thousands more descended on the square, the scene of the Poll Tax Riots in 1990, to celebrate despite the rain. Probably the most impressive display was in Goldthorpe, South Yorkshire. 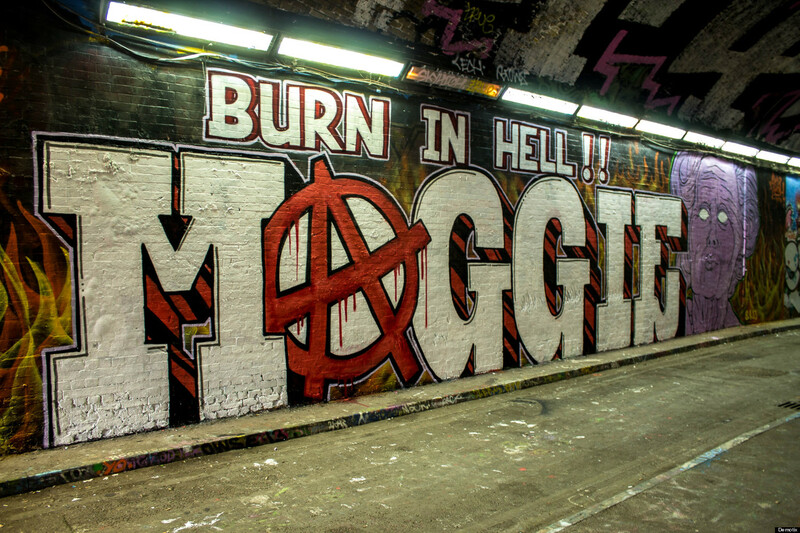 A former mining town, devastated by pit closures, the hatred for Maggie was strong. 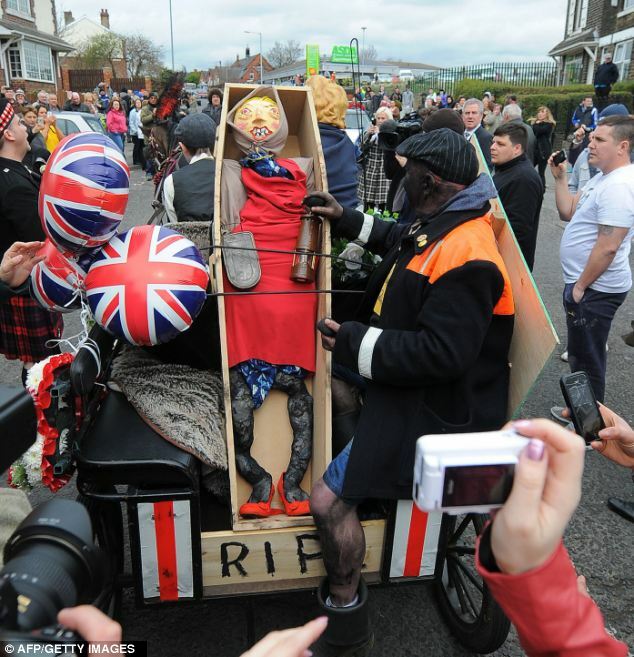 An effigy of Thatcher was paraded through the town in a coffin before being burned on a bonfire. Former miners turned out National Coal Board clothing and celebrated the death of the person responsible for the demise of the mining industry in Britain, and with it the livelihoods of thousands of people. We cannot let the death of Thatcher be confused with the death of Thatcherism though. Several of her policies are still alive and well today and we still suffer the consequences of her neo-liberal regime. Maggie may be long gone but she lives on through her spiritual successors like Cameron and Osborne who are more than happy to carry the torch for their lost hero. The working class communities decimated by Thatcherism are still under attack through austerity and the cuts; workfare and benefit sanctions; privitisation of the NHS and Royal Mail; rising living costs and stagnant wages; increased policing and the gradual eroding of our rights. And with UKIP’s recent success in the polls pushing the political discourse to the right, we are likely to see a string of policies so bad they’d make the Milk Snatcher herself blush. What is the solution? Get organised! Only through the collective action of the working class can we hope to make life better for ourselves and each other. Life under capitalism will only get worse unless we stand up and say otherwise. But don’t just ask for reforms, don’t settle for a slice of the pie, demand the whole damn bakery! By working together we can bring down this whole corrupt system and finally put Thatcherism where it belongs: in the ground with the rest of the neo-liberal ideologies. Its time to build a new world, a better world, built on the foundations of community, mutual aid and solidarity. We’re already working towards that world every day, why don’t you join us?